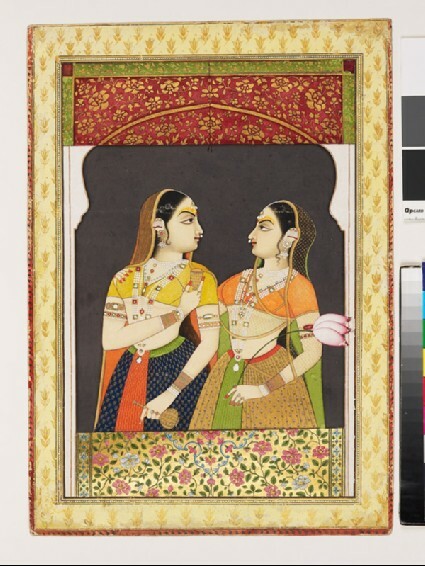 Two bejewelled ladies gaze at one another intently within a palace window. One holds a flask and wine-cup, the other holds a large lotus flower, while lightly embracing her friend. Such imagined scenes of life within the palace zenana (harem) became a popular genre in the late 18th century.